‘Time is money’ is an old adage that is just as applicable to telephony as it is to almost every other facet of business life. Holding onto outdated telecoms systems stifles profitability and potential for growth. And the longer a company goes without reviewing their telecommunications infrastructure – the more money it can potentially lose. By analysing how your current solution fares in terms of maintenance, reliability and scalability you can make sure that your business is running in the most cost effective way. In which ways can businesses asses their infrastructure and make sure telephony is the first priority, not the last? The Integrated Services Digital Network (ISDN) was launched in the 1980s. At the time, it was a great new piece of tech, enabling faster communication and integration of telephony and computers on the same network. But that was 30 years ago and a lot has changed since then. ISDN is now officially on its way out. In fact, BT aims to migrate all its ISDN customers onto an IP network by 2025. In comparison to newer comms technologies on the market, ISDN’s legacy nature renders it inflexible, expensive and difficult to manage without relying on a provider, which can be time-consuming and costly. If you are currently using ISDN, it’s worth reviewing your system and network capacity. Look at how your existing telecoms infrastructure supports current business demands and long-term requirements. Does the traditional system futureproof your business for a tech-rich, cloud-supported future? SIP (Session Initiation Protocol) connects your PBX to the provider’s network via broadband, Ethernet or a private circuit. In light of the decline of ISDN, it has become the system of choice for many organisations in recent years, with 2015 seeing the largest (31%) increase in SIP take-up in the UK (leading to 453,131 new SIP Trunks). Research from Ofcom shows that 35% of businesses already believe SIP trunking to be the most important telephony service available. Early adopters are continuing to reap the benefits and are driving more businesses to follow. 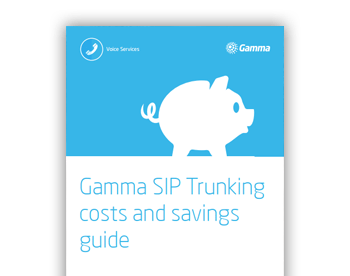 Cost-efficiency: SIP trunking requires less physical infrastructure and fewer lines than ISDN, meaning reduced maintenance costs and storage demands on required PBXs. One SIP channel can cost approximately 50% of the ISDN equivalent in rental, and can also deliver further savings on call costs. Flexibility: SIP offers number flexibility, enabling you to keep existing numbers, even if your office moves to another geographic location. The same number can also be used across multiple sites, making it easier for customers to contact you. In addition, inbound call management on SIP trunks ensure call routing can be easily controlled, without having to go through the supplier. Reliability: SIP trunking comes with built-in resilience features. These ensure fast, effective disaster recovery and business continuity, with instant transfer of voice traffic on to alternate lines in the case of emergency; or call plans that can automatically redirect calls to different hunt groups, office locations or even mobiles. It also offers access to call performance statistics, helping you determine if and where service improvements can be made. SIP is a ready-made replacement for ISDN and can work alongside it during installation, making switching less of a risk and with little or no disruption to businesses. Moving over could be implemented in phases or completed in one go, depending on what is best for your company. And if your needs increase, scaling your SIP trunks provision can take less than a minute, ensuring easy management of line capacity and seamless new office set-ups. SIP trunking is now the byword for flexibility, reliability and value for money in the telecoms market. Hundreds of thousands of UK businesses have already made the switch. If you’re not one of them, think about moving telephony to the top of your to-do list before time runs out.